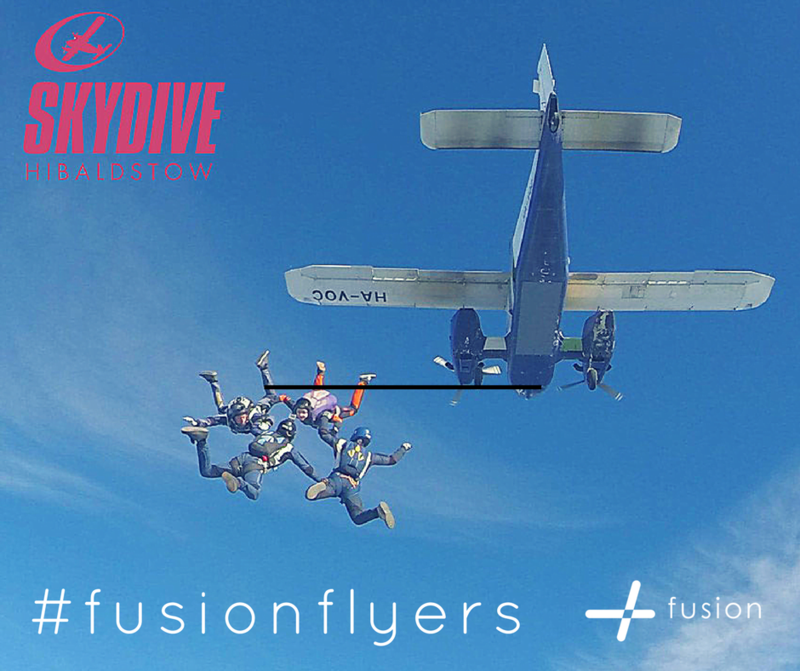 Fusion are raising money for The Laura Crane Youth Cancer Trust by participating in a tandem skydive……four of the Fusion team will be taking part in the hope to raise funds for this fantastic charity! The sky is the limit for 4 very brave members of Fusion who are taking to the skies on the 19th May for a sponsored tandem skydive to raise money for the local charity. One of the team members said: “This is a real challenge for me because I have a fear of heights…but I’m determined to overcome the fear and just jump.” Who could this be? You can follow the team on Twitter @Fusionmanit…..for some of us this is going to be a really hard challenge (scared of heights) but it will be worth it! Send us your messages on Twitter using the hashtag #fusionflyers and watch out for pictures of our jumps soon! Donations can be made via our Just Giving page here.